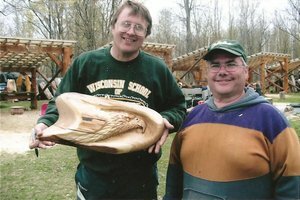 Dennis Nellis having a great time, as you can see! 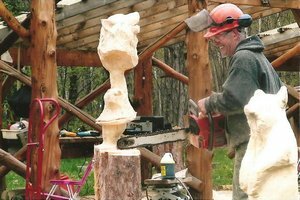 Brian, Instructor, showing one of the students a butternut eagle relief carving demonstrated during the class. 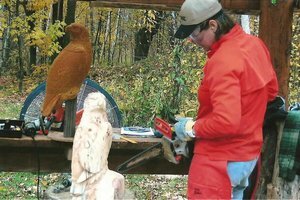 Cindi from WI carving her eagle. 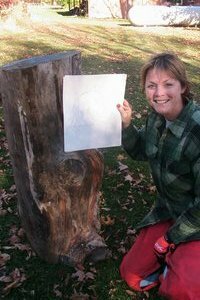 Cindi, one of our students from the Fall 2006 classes. 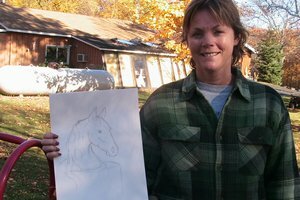 Here she had drawn a picture of a horse bust on her own time before the class started that day. 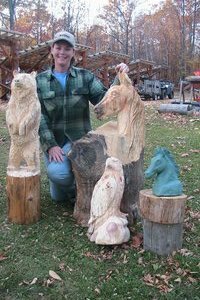 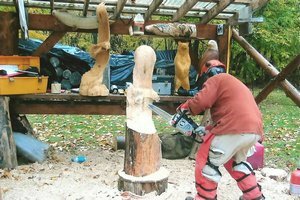 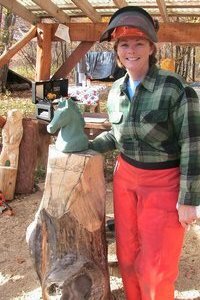 Cindi using her sculpture to as a reference for the horse she wanted to carve. 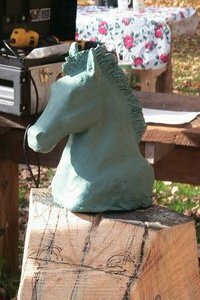 Cindi sculptured her horse bust out of clay. 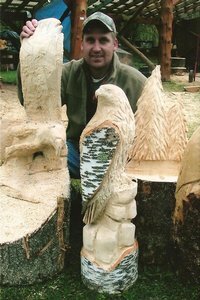 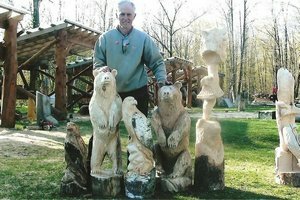 Dean Woyak with his carvings, including his beautiful falcon.